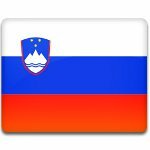 Prešeren Day, also referred to as the Slovene Culture Day or the Slovenian Cultural Holiday, is a public holiday observed in Slovenia on February 8. It marks the death anniversary of France Prešeren who is regarded as the greatest Slovene classical author and the country's national poet. France Prešeren was born on December 3, 1800. He began writing poetry during his student years. His first poems were strongly influenced by Slovene folk poetry and the works by Valentin Vodnik, the first poet in the Slovene language. Prešeren wrote many notable works, including the national epic Baptism on the Savica, O Vrba, Sonnets of Misfortune, Wreath of Sonnets. His poem Zdravljica was adopted as the country's national anthem in 1989. Prešeren Day has been celebrated as the national cultural day since 1945. In 1999, it was declared a work-free day. The holiday aims at raising the self-confidence and the cultural consciousness of the Slovene nation. On the eve of Prešeren Day the highest Slovenian recognitions in the field of artistic creation are awarded. They are the Prešeren Award (the Grand Prešeren Award) and the Prešeren Fund Awards (the Small Prešeren Awards). The winners are selected by the Prešeren Fund Management Board.